Hello everyone, today I would like to start a new topic for us to share trivia around music! The game is simple, just comment below with some little trivia you know, it can be about an artist, a song or an album, but most importantly it has to have happened on the day you are posting. Did you know that on September 19th 1981, The Rolling Stones album 'Tattoo You' started a nine-week run at No.1 on the US chart, the band's ninth US No.1? OTD in 1975, the song 'Fame', co-written with John Lennon, gave David Bowie his first No.1 in the US. OTD in 1970 a judge finds Jim Morrison guilty of indecent exposure after he dropped his pants onstage at a concert in March that year! @Rob Igo why am I not surprised he did something like that? OTD in 1985, Madonna scored her first UK No.1 album with 'Like A Virgin', ten months after its release. The album spent a total 152 weeks on the UK chart. OTD in 1992 Radiohead released their debut single "Creep" and it didn't even chart! It was featured on their first album released later that year "Pablo Honey". It later went on to be one of their most famous tracks. OTD in 1957, The Elvis Presley classic, ‘Jailhouse Rock’ was released. It became his ninth US number one single and stayed on the Billboard chart for nineteen weeks. OTD in 1991 Nirvana's breakthough album "Nevermind" is released. The album went on to sell over 10 million copies in the US. Let's be honest - who hasn't got this album in their favourites? OTD in 1980, LED ZEPPELIN's drummer John Bonham dies at the young age of 32 of asphyxiation from vomiting after a night of heavy drinking - the band decided to break up instead of replacing him. Talking about death (lolz), is it time to list the 27 club? My trivia for today will be around Queen because OTD in 1982, they made a guest appearance on US TV's Saturday Night Live, where they performed 'Crazy Little Thing Called Love' and 'Under Pressure'. 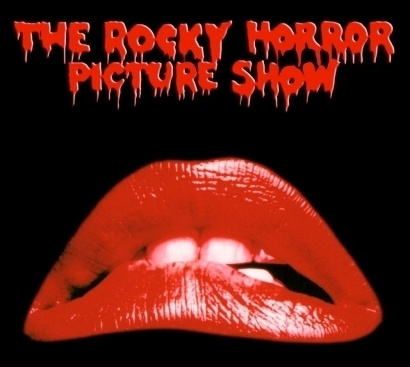 OTD in 1975 the movie "The Rocky Horror Picture Show" was released featuring a young Meat Loaf along with Tim Curry and Susan Sarandon. The movies tanked at the box office but then later went on to be the cult classic that we all know and love! "Put your hands on you hips...."
Oh that's a good one @Rob Igo! Like wise! Love The Beatles - have you seen the film "8 Days a week" (by Ron Howard), soundtrack here below - what a film! Today we are celebrating Avril Lavigne's birthday, which was OTD in 1984! OTD in 1972 The Temptations release "Papa Was A Rollin' Stone" as a single. The song length has to be cut down from the 11.46 album version to 6.58 because there wasn't enough vinyl on a single for the full song length!!! I don't think we need to worry about stuff like that in these wonderful days of streaming! Personally I love George Michael's "Killer / Papa Was A Rollin' Stone" mix just fantastic! OTD in 1970 Janis Joplin makes her last recordings including "Mercedes Benz" - shes dies three days later. Another one of the "27 Club"
Famous lead singer and bassist for rock band The Police, Sting was born OTD in 1951! OTD in 1974, John Lennon released "Walls & Bridges" album featuring No. 1 single "Whatever Gets You thru the Night". OTD in 2012 Adele releases her new bond theme to "Skyfall".... 69% of responses in the US vote it the best theme to a Bond film ever... (and in my opinion the best Bond film ever!). OTD in 1985 what would of been John Lennon's 45th birthday, a section of Central Park in New York City is christened "Strawberry Fields" in his memory - funded by Yoko Ono it's a meditation / quiet place - Garden of Peace. In the garden there is also the monument a circular mosaic with the word "Imagine" at it's centre. No better song to celebrate a legend.